For more on Ely, his capture, and his captor, go here. Lots of hyperlinks in the following – be sure to click on them to get the full effect! A reference is made in the report of Col. E. B. C. Cash of the 8th SC of the capture of Congressman Alfred Ely of NY (left). A pretty tame account, though the story that is handed down and can be found in Ely’s diary is more colorful. According to the gentleman from Rochester, when taken before Cash the colonel leveled his pistol at Ely’s head and swore, G—d d—n your white livered soul. I’ll blow your brains out on the spot! Cash was prevented by subordinates from carrying out his threat. Based on his post-war history, I have little doubt that Cash was in earnest. 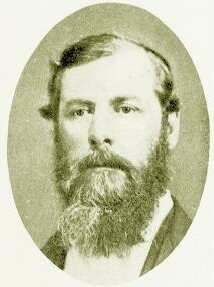 Ellerbe Boggan Crawford Cash, though born in 1823 in North Carolina, was raised in his mother’s native South Carolina, and eventually passed the bar before taking over her family’s plantation in the Chesterfield District, near Cheraw. He served in the general assembly and rose to Major General in the militia. At the outset of the war, he was elected colonel of the 8th SC. When the regiment reorganized in the spring of 1862, Cash was either not reelected or resigned because he was not promoted. Cash remained in reserve or with the state militia in South Carolina for the remainder of the war. 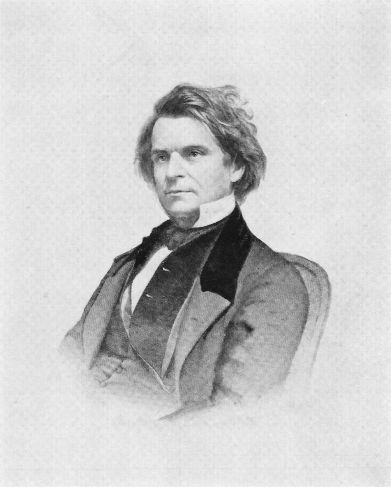 He was an outspoken opponent of Reconstruction, and ran against Wade Hampton for governor because he felt Hampton was too soft to represent the white population of the state. Perhaps Cash is best known for his participation in what is recognized as the last duel fought in South Carolina. 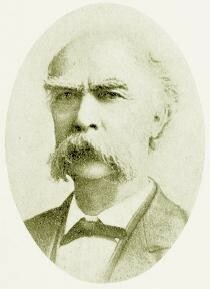 On July 5, 1880, Cash shot and killed Col. William M. Shannon of Camden in a formal duel resulting from a legal action against Mrs. Cash in which Shannon was lead counsel. (UPDATE: Shannon had raised the Kirkwood Rangers, which became one of the five companies of the 7th SC Cavalry. This regiment was home to Alexander C. Haskell and Dr. E. M. Boykin – hence, Shannon and his brothers are referred to often in Mary Chesnut’s diary.) Cash was tried for murder and dueling and, after one mistrial, was acquitted. Legislation was enacted thereafter outlawing dueling in South Carolina (though I’m a little confused at this, because Cash was tried for dueling, which kind of leads me to believe it was already illegal; one aspect of the new legislation was that it rendered ineligible for public office anyone who had participated in a duel). 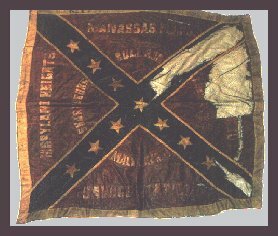 The image of the battle flag of the 8th SC above is from this site, which has a biography of Cash. This site is an account of the duel. Here, here, here, here, and here are New York Times articles on the trial, though there are more – beware, the NYT archive is a huge time-sucker! UPDATE: Here is a link to a 1932 Time Magazine article on the duel. 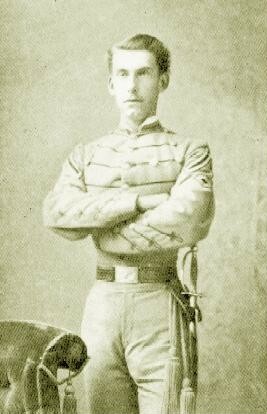 The Colonel’s son, VMI alum W. Bogan Cash, was also not unfamiliar with violence. He was accused of killing at least two men, and before he could be brought to justice was himself killed while resisting a sheriff’s posse in 1884. You can read about him here and here, and here is his VMI bio – surprisingly, he served as Governor Hampton’s chief-of-staff. His father was also indicted as an accessory to his son’s crimes, but was I think not prosecuted. Cash died at his home in Chesterfield in 1888, and was buried next to his desperado son. Here is his obituary. Coming on the heels of my finishing The Bloody Shirt, perhaps all this is not as surprising to learn as it otherwise might have been. I’ll have a review of that book up within the next few days.